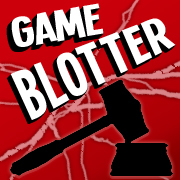 We know you’re all fans of the My Little Pony CCG—ICv2 reports that it’s selling like hotcakes—so I’m sure that you’ll be happy to know that soon you won’t have to store those cards in icky generic deck boxes, or worse, extra Magic: The Gathering boxes! 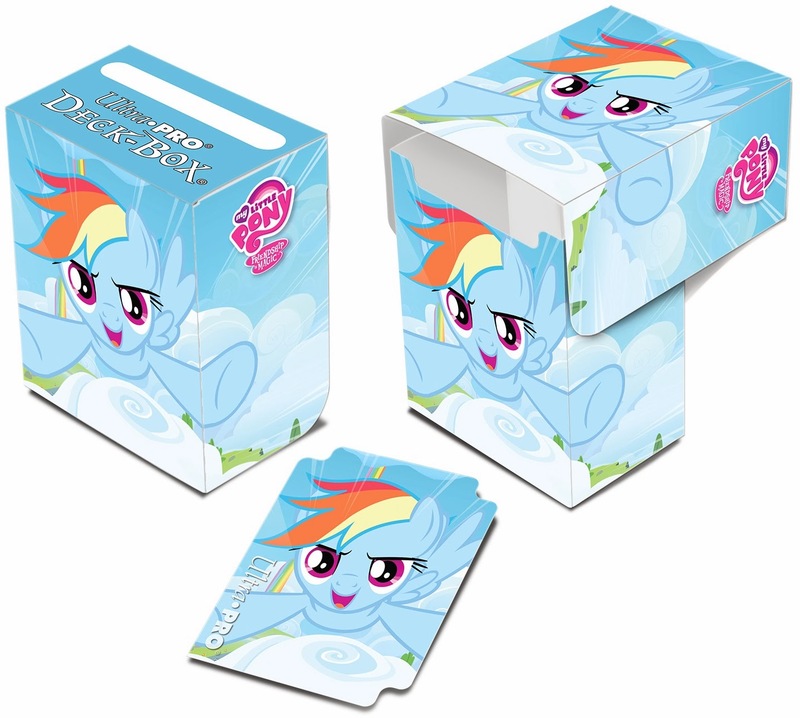 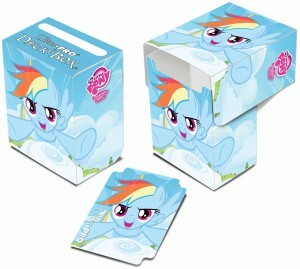 Coming from UltraPro in March are three My Little Pony: Friendship is Magic top-loading deck boxes—Trixie, Rainbow Dash, and Rarity. 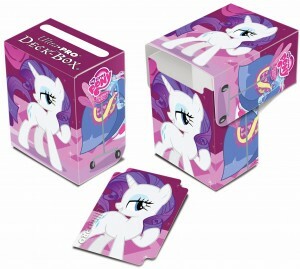 Each has room for 82 sleeved cards, comes with one themed divider, and has a suggested retail price of $3. 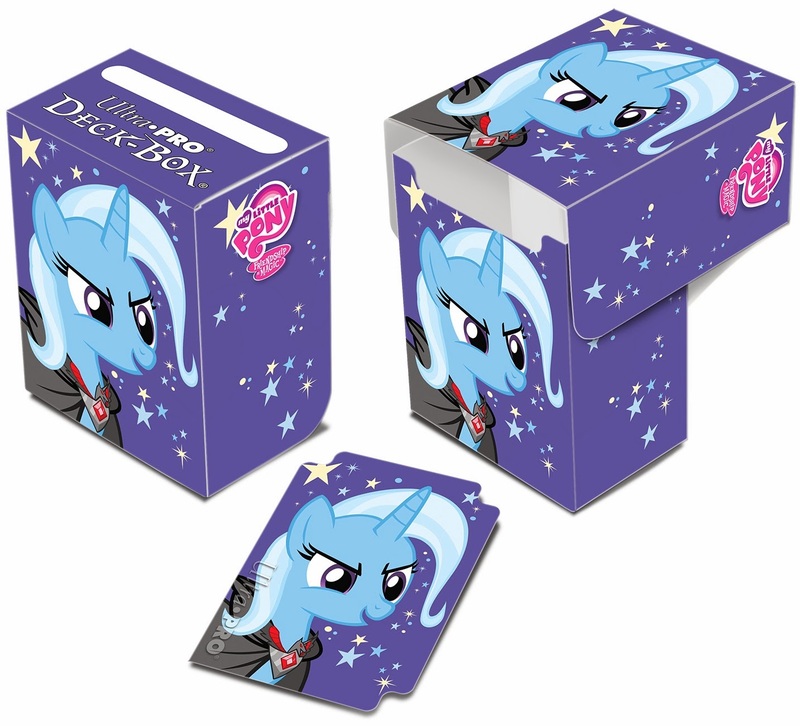 At least give us Pon-3!